My oldest starts first grade today! She's moving to the small neighborhood public school just across the street from us. 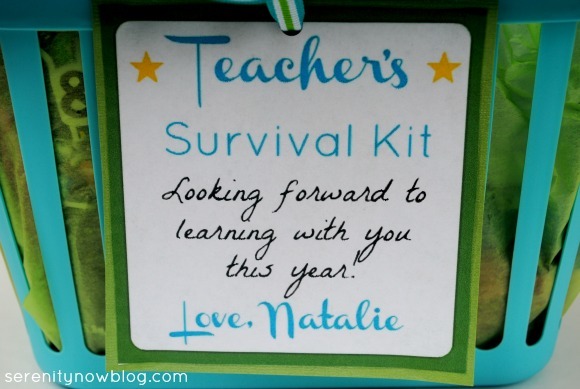 To celebrate a new school and a new teacher, Natalie helped me put together a Teacher Survival Kit for her first grade teacher. If you follow me on Facebook, you know I mentioned Pinning 54657 back-to-school projects to my Pinterest boards...this is the only one I've completed...it was easy to do! We finished it all off by adding colored tissue paper to the basket (like a gift bag), wrapping pencils, pens, and highlighters in ribbon, and stuffing the basket full of goodies. Natalie gave her new teacher, Mrs. H, the basket yesterday at the Open House/Orientation. It was so cute to see her hand it over. The teacher, who had only just met Natalie, seemed delighted by the surprise and spent a couple of minutes going over all the goodies with my oldest. They even hugged. It was a fantastic ice breaker; I'm so glad we did it! 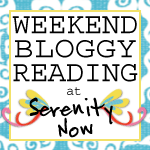 This is a fun project to help your kids get over those first-day jitters. Let them help you choose inexpensive items (ours came from Target and the Dollar Tree) to purchase and then assemble the kit together. Natalie was excited to give the kit to Mrs. H, even if she was a little scared of the new school experience. I think she's looking forward to her first day of school today! If you enjoyed this post, or found it helpful, I hope you'll click your "Pin It" button to add this post to Pinterest, or a +1 for Google+. This is fantastic! Both of my boys are starting pre-school this year. This will be a great idea for their Open House. My boys are so used to spending time together, the fact they are in separate rooms I know makes them uneasy. 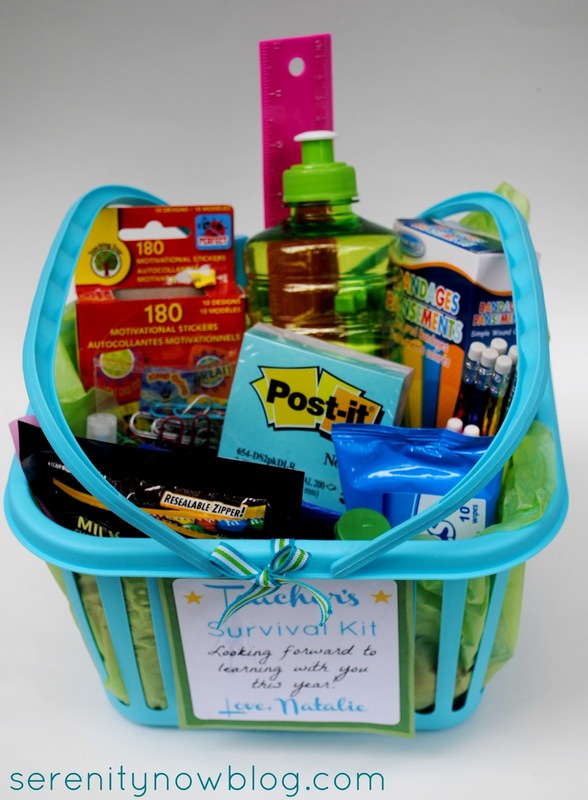 Something like this should help with those back to school jitters as well as help their teacher. When I was teaching, I was always so grateful for gifts from my students. What a cute idea! My sister is a teacher and I know she would just die over a goodie basket like this. Great job, momma! This is such a fun gift for teachers. awwwwww! So sweet! i bet the teacher hugged her like crazy for this very thoughtful gift! A good idea for next year! thanks! What a great idea. I bet her teacher loved it!! I hope school went well today. Thinking about you!! GOOD FOR YOU! Showing the teacher that you care about her is a great way to get started, I think--and to have Natalie give it to her is a wonderful idea! 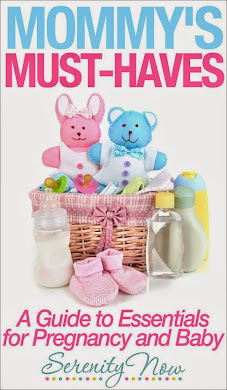 I can just imagine a teacher's heart melting as a darling little girl presents her with a cute gift that's also useful. . . .
Who wouldn't want to have YOU as the mom of a student? Across the street? Really?? As in NO CAR POOL?? I LOVE this idea! 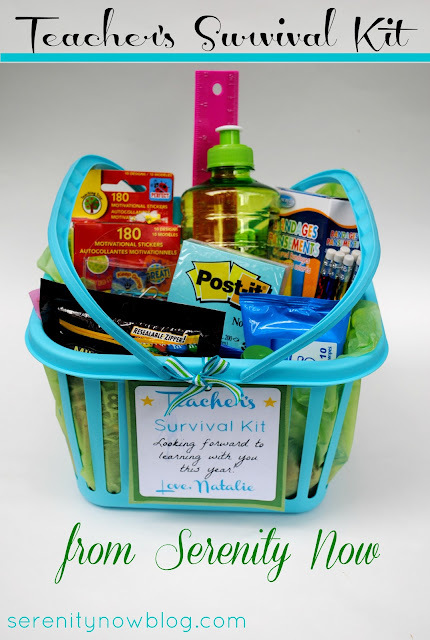 My daughter just started her first year of school and I hope to put together baskets like this for the winter holidays- I love how practical these items are! What a sweet idea! What teacher wouldn't love a gift like this? So very thoughtful. What a sweet idea! I love the details that you can personalize this with :-) I need to make one for my sister, she teaches 4th grade. :-) Thanks for sharing! What a fantastic idea and I'm sure very much appreciated from the teacher! Hi Amanda - this is such a super clever idea. I am sure your daughter's teacher deeply appreciated the gesture and loved reading the words 'Teacher Survival Kit'. That sure would have brought a smiel to my face. Well done ... this is something I will implement into my life. How did you to the card on PicMonkey. I don't see how to get a blank template. It just wants to edit photos. Thanks. we can never do too much for those amazing teachers! i always love to see what other ideas people come up with to show appreciation. Love the gift tag and the basket I'm sure will be appreciated! As a former teacher, I have to say THANK YOU! 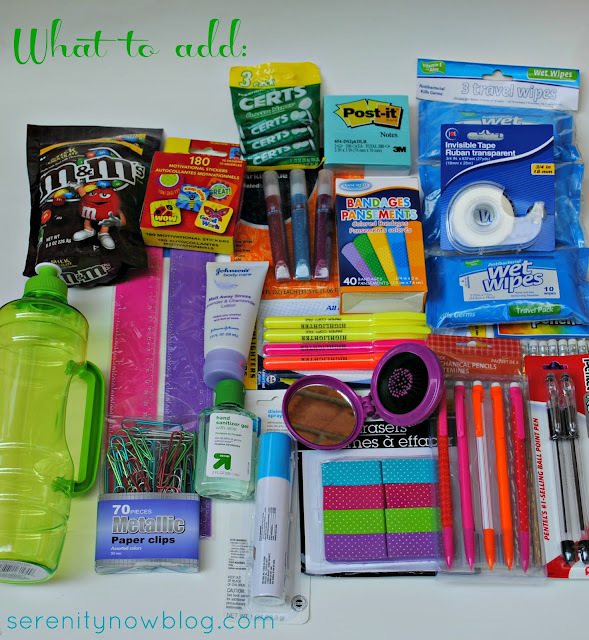 I'm sure your child's teacher will love it, and supplies like that are so helpful and useful! Great idea - love how it became an ice breaker for your daughter and I am sure the teacher loved it! As a teacher that is an amazing gift to give!!!! This idea is great! It would also be a good idea to make and give to a beginning teacher to welcome her or him to the grade level! I know I'm a little late on this post but I just saw it and thought it was awesome! 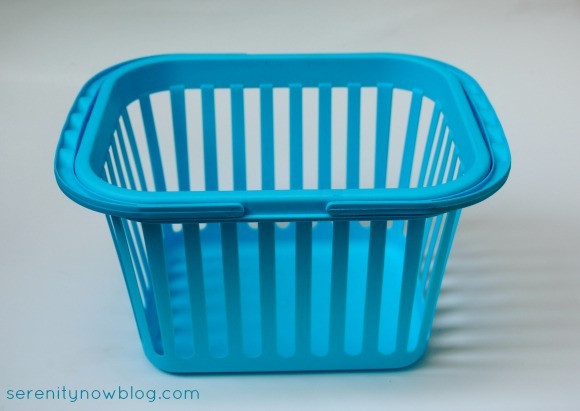 I will be student teaching in the fall and thought this would be a great ice-breaker with my mentor teacher, I was wondering what the basket cost you overall if you don't mind my asking?